What Are Front Fastening Bras? Many Ladies have had trouble reaching around behind to undo the hooks on a bra. Not only being able to reach around but locating the hooks can be a challenge. The alternative is front fastening bras. This could be way of the same hooks, closures, domes or even a zip. This is essential if you have flexibility issues with your elbow or shoulder. Front Fastening Bras Post Surgery are also another reason not to reach behind to unhook your bra. The reaching around can be torture. Some ladies actually hook the bra on back to front and then rotate the bra into position. This really is hard work though! Another common term as well as front fastening is “front opening bra” or “Front Fastening Bralette”. They mean the same thing. Most bras have closures/hooks on the rear of the undergarment. There are a few different ways to close the front of the bra. Most of them use hooks, this would be 90% of bras. There are also zips and domes. These are more for specific reasons though. All of these bras come in designs to cater for comfort & sexiness. They have a hook on one side and a loop on the other it attaches into. It is fairly lightweight and simple. The only annoyance is it gets caught on other clothes during washing. 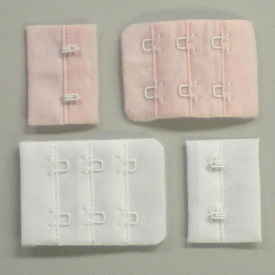 If the bra has a strap that is more than 15mm wide it may have more than 1-2 hooks. It could even have a row. 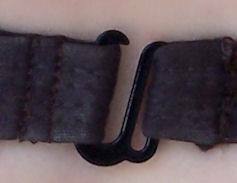 As well a row of hooks to suit the width of the strap it has different levels of loops. It can have maybe 5 rows of hooks to suit different positions. You can adjust the tension of the bra using these positions. You may change shape slightly during the month just with your menstrual cycles so this can accommodate that. This has domes in place of hooks to reduce the accuracy needed. Lining up the hooks can be a bit tricky as depending on your neck flexibility you may not be able to see them. The domes just simply snap together. They are not as strong as a hook or zip but certainly sufficient for a non sports bra. As they are round and protrude you can usually feel you way round them to clasp them together. A plus size front closing bra is just the same but available in bigger sizes. They do have the advantage of easier closing on the front if you struggled to reach the back. With the larger chest size of plus sized ladies trying to hook a rear closing bra on the front then rotate it around would be unrealistic. Front Fastening Bra Large Sizes Uk would be a lot easier and more convenient. There are a few disadvantages to front fastening bras. The hooks in the front can dig into your chest if they have not been designed properly. As the weight of your bust bears downward to where the closures are this presses against your chest plate. The hooks need to be plush on the inside to ensure they don’t protrude inwards. The hooks, zip or domes could protrude outwards on smaller cupped bras. If you wore very tight clothing that hugged your body the closures could be seen. Not likely but something to keep in mind.